Where do I get these values? If you have the Pro or Elite Bundle you can use the Nutrition API integration to help calculate these values for you. With the Premium version these have to be entered manually. Take note that you should enter the values for 1 serving of your recipe, referring to the servings field under "Recipe Details". Do I have to fill in everything? No, only the fields that you've filled in will show up in the label. 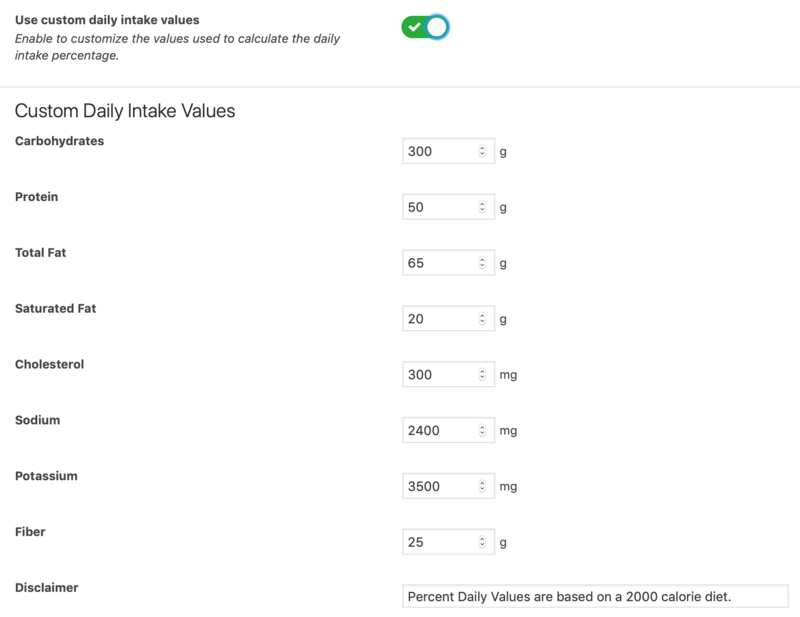 On the WP Recipe Maker > Settings > Nutrition Label page you'll also find the "Show values when 0" setting. Enable this if you want nutrition fields to show up in the label if you've set them to 0. 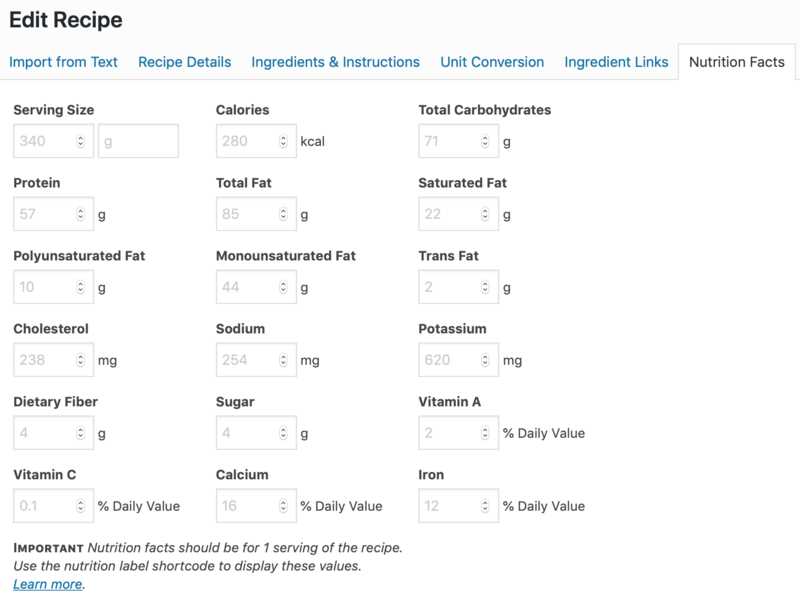 You can add the nutrition label to the recipe template using the Template Editor. You can add the [wprm-nutrition-label] shortcode where you want the nutrition label to appear. Use the "WP Recipe Maker" button or Gutenberg block to add it to a post or page. It could also be added as a widget and will only appear if you actually have a recipe on that page. Can I change the daily intake percentages?